The application of the influence of political and economic geography on the politics, national power, foreign policy, etc, of a state. Politics as they affect the whole world. China appears to be adept at playing geopolitics. India, as in most things, is playing catch-up. Xi’s first point refers to Russia’s and Cuba’s past approach. His second refers to past colonialism. And his third to the West’s insistence that economic and military aid comes with strings. Strings of democracy, human rights and so forth. And berates many for lack of transparency or human rights. 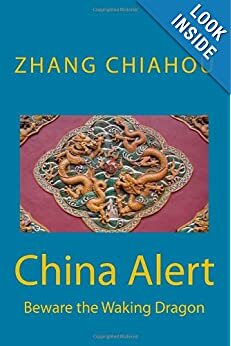 Chinese geopolitics is covered under: resources, trade-and-aid, trade deficit/surplus and the RMB (Renminbi) valuation, language and culture and, finally, military presence. There is no shortage of publicity about the shortage of raw materials: steel, coal, cement, building materials and so forth. And wherever one looks the hand of China can be seen garnishing these resources to feed into its growing and insatiable building and manufacturing enterprises. China Inc is competing, very successfully, on all fronts and on all continents: Asia, its backyard; Africa, Australia, Latin America, and Canada in North America, full of riches. There is not one commodity where there is no Chinese organisation at play. It used to export silver, but with the use in photo-voltaic cells in solar panels, it has become an importer. And in one area, that of rare earth elements (REE), China – for the present – seems to have a monopoly. These 17 elements are needed in many of today’s technologies, from smartphones, to batteries, to catalytic converters and missile systems. Although globally there are more of these metals than say gold, in the past 20 years, China had been mining their deposits in Mongolia at such a low cost that many existing miners have shut shop. Only to discover that in 2009, the need is for 134,000 tons but with only 124,000 being mined, the deficit coming from stocks. Although China has 34% of the REEs, it has cornered over 95% of the production. The EU initiated a study of potential shortage of 49 raw materials including rare earths, precious metal such as cobalt and lithium and, of course uranium plus water! The US is naturally exhorting its miners to restart operations urgently. In about four years, this shortage and monopoly should ease. But the question is, what else and where else will a resource shortage emerge? Deep sea resource exploration and extraction is next on the agenda. China sent three scientists to the bottom of the South China Sea in the summer of 2010. They descended more than 3 km in a craft the size of a small truck. Next year the craft, Jiaolong (named after a mythical sea dragon), will attempt 5 km and 7km in 2012. The purpose is to lay the foundation for deep sea resource survey and – later – extraction. By energy we mean mainly coal, oil, and uranium, as China has an abundance of wind and has become the world leader of solar power, supplying both its own growing needs as well as becoming a leading exporter of photo voltaic panels. Most of China’s electricity is produced from fossil fuels (80% from coal, 2% from oil, 1% from gas in 2006) and hydropower (15%). Coal: Although China has vast coal deposits and is the world’s largest producer (3bn tons in 2009), its needs surpass its own output as coal is needed both for power and for steel making, so it became a major importer at over 100m tons in 2009 and rising to possibly 170m in 2010. South Africa and Australia are the main suppliers. Oil & gas is in short supply as China is increasingly becoming a private car nation. Apparently, in August 2010, Chinese citizens bought around 55% more cars than they did a year ago! Such is the growth of private car ownership that one article said 45% of Chinese car owners have never had to change tyres, their cars being less than 2-3 years old! China has surpassed the US for sales of new passenger cars. Chinese oil companies are involved either as partners or customers around the world, taking stakes in many blocs and investing in some national oil companies such as Petrobras, the Brazilian oil company who was provided with $10bn loan from a Chinese bank in February 2010. China is building a 7,000km gas pipeline to move gas from Turkmenistan via Uzbekistan and Kazakhstan. Uranium is needed badly by China which has 12 installations in operation and 24 being built with many more planned, installing more nuclear power plants than any other country. For instance it provided a $95m loan to Niger (second largest uranium producer after Canada) to expand its uranium mines in 2009. Although there is no surplus labour nor a shortage, with such a huge workforce there is always some flexibility. Consequently, for many infrastructure and plant construction projects funded by aid or FDI, Chinese labourers are much in evidence throughout Africa. In most cases they are welcome and their know-how is appreciated as projects tend to be jointly staffed and knowledge transfer takes place. However, from time to time, if the local employment situation becomes desperate, anger is sometimes taken out on Chinese workers, occasionally resulting in violence, which unfortunately is rising in some African countries. One ‘green’ journalist recently pronounced that “water is the next oil”, in terms of scarcity and role in geopolitics. As we noted in our web page on greening of China, China is carrying out major hydro projects that will dwarf the Three Gorges Dam, including a north-south canal that may have both good and unplanned bad consequences. But the problem lies in the fact that the head waters of many of the SE Asian rivers start in the Himalayas or the Tibetan plateau. So far water sharing has not become a major issue. But it is taking up more and more space in the media. Unless countries start to invest in water desalination and other conservation plans, conflict will be a matter of time, especially with continuing climate warming reducing glacier cover. China plays a very astute game of trade where possible and aid where necessary. In terms of trade, once again, it invests when it is advantageous to do so (and is permitted to – eg the US vetoed the now infamous offer by CNOOC to buy Unocal) and it enters into ordinary purchase contracts when appropriate. Unlike Western powers, aid does not come with political strings. Aid is transparent as a quid-pro-quo prepayment for something, usually a natural resource. the pirate infested waters of the Arabian Gulf. Africa is where China is most active. There are between 750,000 and 1m Chinese in Africa, and nearly 1,000 Chinese companies, big and small, mostly since the late 70s-80s. Chinese firms have built prestige projects like national sports stadia, parliament buildings, highways and a 1,100 mile railway across Tanzania to carrying landlocked Zambian copper to Dar es Salaam, along with other goods, of course. This project took 50,000 Chinese workers and engineers and £500m; no small investment. Africa is blessed with many natural resources: 98% of world’s Chromium, 90% of cobalt and platinum, 64% of manganese, 50% of gold, 33% of uranium, more oil than North America, and possibly 40% of world’s hydroelectric power. So it was a natural magnet for China. Now Africa is supplying a third of China’s oil needs, with Angola already overtaking Saudi Arabia. And more due to self-interest than globalisation ambitions, China has essentially filled the semi-vacuum left by ex-colonials who departed. China decided trade rather than aid would help the continent to attain affluence, thereby providing another market for China’s manufactured goods. Aid, according to many economists, has not and will not work. China, by contrast, puts trade first and, where necessary, has supplemented it with aid. The significant difference is that there are no ideological strings attached, no demand for ‘human rights’, ‘transparency’, democratic elections’ or whatever, much to Western annoyance and great disadvantage. This policy is consistent with China’s insistence that no country should interfere with another’s internal policies and practices. If the goods, services and terms are right, a deal is struck. In 1999, Afro-Sino trade was around $9bn; today it is well over $100bn, second only to US-Afro trade, ahead of France and Britain. Chinese FDI is also substantial. Again the difference is a 10 to 30 year planning cycle for Chinese enterprises as opposed to western companies’ 3 to 5 year cycle. China has been engaged in a kind of ‘health diplomacy’ with Africa since the 1960s. Health-care development and medical assistance have been one of the main successful areas of cooperation. Between the early 1960s and 2005, more than 15,000 Chinese doctors have been sent to more than 47 (of 53) African countries.The medical teams, known as yiliaodui, have treated more than 170 million patients during that period. In 2001, the member nations of G8, formed the United Nations-backed Global Fund to Fight AIDS, Tuberculosis and Malaria with an initial budget of $10 billion. In 2007, another additional $1.1 billion was approved in China, of which 66% was dedicated to Africa. In September of the same year, China promised the Republic of the Congo to build 31 hospital units and other 145 smaller health care centres, a project due to be completed in March 2010. When all is said and done, it should be noted that the Chinese per capita GDP is c$3,500 and that of Africa is c$2,500. Case of one set of poor people helping another with mutual self-interest. As President Festus Mogae of Botswana said:”China treats us as equals, while the West treats us as former subjects.” When Western powers criticise China, its rebuttal is “Why after centuries of interaction including colonialism, is Africa so backward and poor? What did you do that was right for Africa?” At the grass roots level however, there is some resentment of unfair competition and resource grabbing. In an article in Management Today, January 2011, one local observer said “It has taken us 100s of years to shake off the west, and now all we gain is the east”. Nevertheless, some economists think that China has helped Africa to reach an economic tipping point, a point of no return, turning what has been a vicious cycle into a virtual cycle. Time will tell. Guess what, China has not been idle anywhere. Resources are chased wherever they occur, Canada, Russia, Australia, and Latin America; and from investing in oil and minerals, China is now investing in anything that seems to make sense. This is partly driven by the realisation that, sooner rather than later, over half the treasure chest of $2 trillion trade surplus in US dollars treasury bonds is at risk as gradually the world moves off the $ standard as it did off the gold standard in the past, and as the RMB appreciates either due to ‘natural economic’ causes or due to pressure from the US. So the Chinese sovereign funds are incessantly searching for decent investments, even taking risks from time to time, a sign of the maturity of the investors in those funds. Russia is finding that with a large proportion of its raw materials in Siberia, it is far cheaper to sell and ship them to China than to anyone else. In addition, Chinese consumer goods are relatively cheap and of quality to be imported and transported to the far eastern provinces including an oil pipe due for service in 2012. By then a quarter of Russia’s crude will be headed east. Surprisingly, Chinese firms have rented vast tracts of vacant agricultural land and encouraging Chinese farmers to toil there as seasonal labour. Another set of win-win situations, causing many border communities to learn Mandarin along with Russian, of course! Nevertheless, there is some nervousness in Moscow as it realises that the three north eastern provinces of China has c100 million people against some 7 million living in Eastern Siberia. Latin America is not immune to the Chinese RMB. With the gradual decline of American influence (at one time supporting many right-wing military dictators) Sino-Latin American trade – that increased from $10bn pa in 2000 to $120bn in 2009 – is beginning to approach that of US trade and in the case of Brazil and some other countries, exceed it, causing much anxiety in the Congress and Senate. In addition to investments in banks, industrial firms, China is backing major transport projects all over the world, realising that if it has gained the right to certain minerals, they have to get it to a port and thence to China! Also, it is the prime instigator for two trans-Asian railways. One roughly east-west and the other north-south. A new Oriental Express! Passengers could one day be travelling from London to Beijing in a little over a day on trains travelling almost as fast as aeroplanes. China is in negotiations to build a 2,000 mile high-speed rail network to India and Europe with trains capable of travelling at over 200mph within the next ten years. Trains would also travel to Singapore, India and Pakistan – and this is just the first phase. In July 2011, a cargo train loaded with Chinese products travelled from Chongqing to Duisburg, Germany, taking some 13 days and 11,000 km. This compares with 36 days by container ship, and would be cheaper, without the threat of Somalian pirates to boot. The plan is for one such train to leave each day. A second line would head to Germany via Russia (routes yet undecided), and a third line would extend south from China to connect Vietnam, Thailand, Burma and Malaysia. Further phases could link with the Middle East and, who knows, via Egypt to Africa some day. If and when that happens, the golden age of rail will be back, overturning a very brief age of flight! For China, it is all about shortening supply lines and reducing their costs. For the countries at the other end of the line it will be a cheaper way to deliver resources and a quicker and cheaper way to receive goods from China. Most would consider this to be a win-win situation. Economic historians believe that railways in the 19th century helped to unify Germany and Italy, and accelerated the development of the USA. Perhaps these new railways will do so for a more globally-enmeshed world of the 21st century. In addition to numerous projects in Africa, in Brazil, China is building a gigantic pier at Acu Port to speed up loading of raw materials outbound and manufactured goods inbound. And in the United States, China is completing work on the San Francisco-Oakland Bay Bridge. The steel structures are being built in China and shipped 10,000 km yet saving the authorities $400m. China’s huge cumulative trade surplus has become an increasing embarrassment for both China and the US (who has a trade deficit to match). As of November 2013, China holds $1.3 trillion US Treasury securities. This imbalance is not helped by the valuation of the RMB which is partly controlled. Although the US authorities scream aloud that the RMB should be valued much higher, the reality is that if it was valued much higher there will be two draconian effects: the re-emergence of inflation as a problem for the developed nations and the continuing devaluation of the US dollar that, eventually, will lead it to cease being the exchange currency for most countries and industries. The latter is inevitable, to be replaced (probably) by a basket of currencies. The former is avoidable. In the background the RMB is gradually being internationalised. Some deals are now transacted in RMB rather than the ubiquitous ‘almighty’ US dollar. Given China’s current policy of currency exchange control, these deals are not subject to forex volatility and are seen to be a better deal. Hong Kong and Singapore are in on the act and in China, Kunming is aiming to lead as the financial hub in Sino-SE Asian trading. In January 2012, Mr George Osborne, UK Chancellor of the Exchequer, gained agreement with Hong Kong to extend its RMB trading hours, so London can get in on the action. This presages London becoming the first RMB trading centre outside of China (and Hong Kong). This will be good for both the UK and China, as it seeks to gradually internationalisse the RMB. In the meantime, China and Russia are discussing trading in each others’ currencies bypassing the US dollar! To the credit of the G20 meeting in October 2010, although calls were made to manage surpluses-deficits, no artificial ceiling was imposed – which would, in all probability not worked anyway. And the increase in voting rights at the IMF for China and other BRIC countries was also a good move in the right direction of recognising the increasing economic power of these nations. A little noticed Chinese law is that of minimum wage which was enacted in 1994 to ensure that low-paid workers have enough to live on. In January 2011, all provinces had to increase minimum wage by 22.8% during 2011. In effect this is tantamount to revaluing the currency upward, as wages, sooner or later, winds its way into export prices. For centuries, China thought that its own culture and language was all it needed. The shocks of the 19th and early 20th century put paid to that misconception. Ironically, in the 21st century, the world and his uncle are trying to learn Mandarin to further its chances of success in an increasingly G2 world; and to understand the basics of Chinese culture, as a by-product. In July 2011, Sweden wants to offer Chinese as an option to all schools. China, initially diffident about this voluntary initiative, has taken the movement to heart firstly with the establishment of the Confucius Institutes; and more recently by forming bi-lateral agreements to supply native-speaking Chinese language teachers. China established its first Confucius Institute abroad at the end of 2004. By the June 2009, 282 Confucius Institutes and 272 Confucius Classrooms had been established in 83 countries and regions around the world. For Britons, the Confucius Institutes should be no surprise, the British Council having been around for well over 80 years and operates in over 100 countries. The US used to operate a more overtly American-PR US Information Agency formed by President Eisenhower but more or less disbanded in 1999. In Hungary, there is a bi-lingual Hungarian-Chinese school opened in 2004 and initially attracting mostly Chinese pupils. But it now has 40% Hungarian kids out of 230. China is at pains to act as a ‘good citizen’ contributing peace-keeping troops, to providing warships to patrol the pirate infested waters off Somalia. As of late 2009 there were 2,150 Chinese military and police personnel supporting the United Nations in 10 countries, including Sudan and Haiti. China has sent small PLA mine-clearing operations to Iraq and Afghanistan but otherwise has tried to stay clear of military operations in those countries while positioning itself to take advantage of resources and economic benefits offered there. More recently, China opened its first military bases abroad. So far, these have been minor establishments along ‘choke points’ in its trade routes, either for in-coming oil, coal and iron ore or out-going routes for its container ships. But as one observer put it: “China is merely following in the footsteps of other major global powers who established military bases abroad to secure their interests. The sooner the world acknowledges this, the better it will be for global stability.” – Harsh V. Pant teaches at King’s College, London, and is a visiting fellow at the Center for the Advanced Study of India, University of Pennsylvania. Despite the ‘natural’ behaviour of China some neighbours, such as Japan and India, are far from reassured. To set China’s military spend in context: the US military budget is c$729bn, China’s is c$79bn only, though larger than most Euro countries of around $40 to $65bn. It is only 6% of the national budget, lower than many other countries. It has 2.3m personnel. Note that in early 2011, Obama has asked DOD to reduce the budget to $400bn. But China is slowly progressing. In January 2011, it launched a prototype J20 stealth fighter, which came as a surprise to Mr Robert Gates, just as he was meeting his Chinese counterpart to try and defuse tensions. Message written in the skies, indeed! And in June 2011, its first aircraft carrier is ready for sea trials. In May 2011, China admitted it has set up a 30-strong unit of cyber warriors named the Blue Army whose stated purpose is to detect and ward attacks on China. 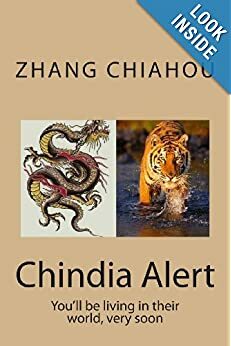 This information seemed to confirm fears amongst many western powers that China is hacking into their military and civilian networks. India’s annual military budget is $30bn. No wonder the US is treated as the global policeman! China continues to woo everybody!